Since 1932, Annual Reviews has offered comprehensive, timely collections of critical reviews written by leading scientists. Annual Reviews volumes are published each year for 46 focused disciplines within the Biomedical, Life, Physical, and Social Sciences including Economics. Each year, Annual Reviews critically reviews the most significant primary research literature to guide researchers to the principal contributions of their field and help them keep up to date in their area of research. Each article is its own search engine, providing a gateway to the essential primary research literature referenced within each topic. Emerald is a dynamic database comprising over 150 titles in the fields of " Management, Information Science and Engineering. • The Emerald fulltext collection features over 58,000 articles from titles published by Emerald. • Flagship titles such as Management Decision, European Journal of Marketing, Journal of Documentation, Leadership & Organization Development Journal, The TQM Magazine and Industrial Robot. INFORMS publishes 12 scholarly journals, including a journal for the practice of OR/MS (Interfaces), as well as an on-line open access journal (INFORMS Transactions on Education). ProQuest Dissertations & Theses Global is the world's most comprehensive collection of dissertations and theses from around the world, spanning from 1743 to the present day and offering full text for graduate works added since 1997, along with selected full text for works written prior to 1997. It contains a significant amount of new international dissertations and theses both in citations and in full text..
Royal College publishes Clinical Medicine journal and it is read by leading physicians in hospitals across the world. One of the world's leading information services for Science, Technical and Medical journals. • SpringerLink provides access to 503 full-text Springer-Verlag Journals and 738 full-text journals formerly published by Kluwer Academic Publishing. Taylor & Francis has grown rapidly over the last two decades to become a leading international academic publisher. 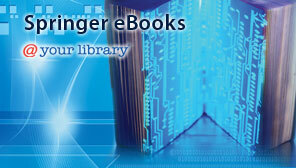 • More than 1000 journal titles in a full range of disciplines. Since the Blackwell-Synergy merger with Wiley-Interscience, all the journals available to HEC consortium are now available through Wiley-Interscience. • Online database containing over 1,234 journals in science, technology, medicine, humanities and social sciences.